Hope Everybody is doing great. Today I am going to Review Viviana Pressed Powder-Tusk. I have tried so many Compact and Pressed powders. Some will not match to my skin colour, some will not covers good. Like this i had problems with Compact powders. For my Oily Skin Compact Powder is must. I was searching a compact powder something different and should full fill my wishes. I found this Viviana Pressed Powder. I have chosen Tusk shade for me. This also I got from Urban touch. 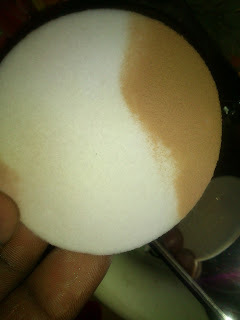 Apply Powder &Blend it with the puff in downwards direction to get even application. I am using Compact almost daily, because my skin is Oily and I need to cover it after the application of Moisturising cream or Sunscreen. 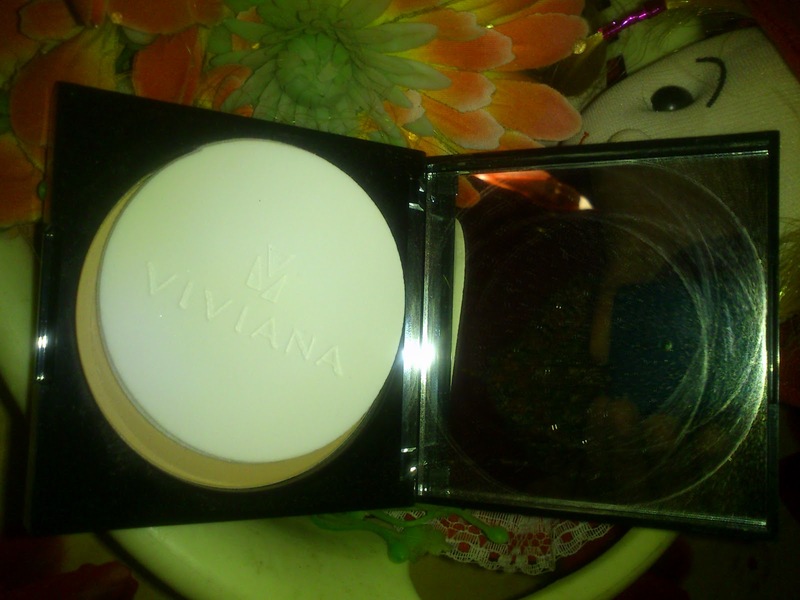 This Viviana Pressed powder has three shades like Snowflakle for Fair skin, Tusk for medium skin tone and Twilight for Dusky skin. I have chosen Tusk, since my skin tone behaves different in colour sometime dusky sometime medium skin tone. So I have to select Tusk shade. This Pressed powder is amazing on my skin and blend like anything. After application It gives extra matte finish for my oily skin. I love to wear this again and again. It gives flawless look. Hiding light pimple marks up to some extent. No patchy finish and it's not looks like that you are wearing a compact. It just giving a natural finish for my face. It gave a even tone and fresh look after applied. 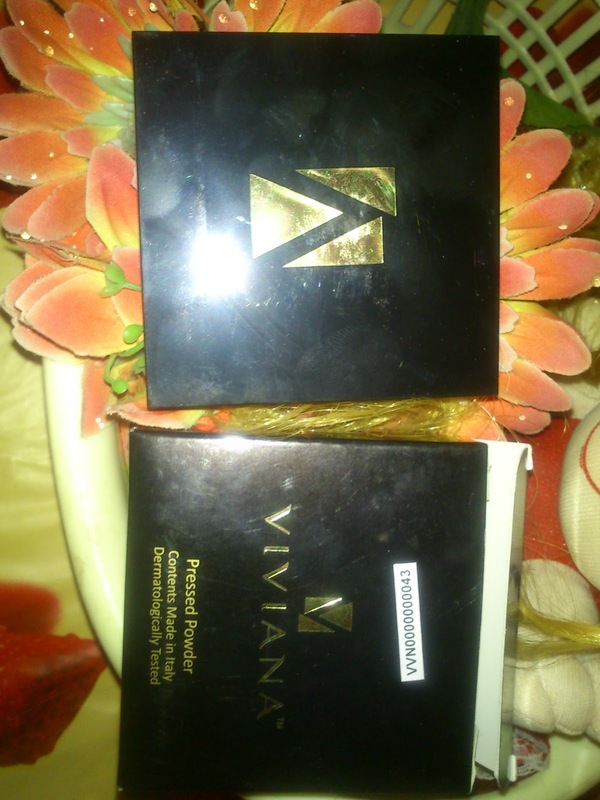 It looks a thick and rich texture which covers blemishes and pimple marks well. The Tusk shade just a great shade for fair to wheatish skin girls. It stays long in a good climate. If there is hot it may vanish within 3 to 4 hours, also depends upon the foundation what you are wearing. 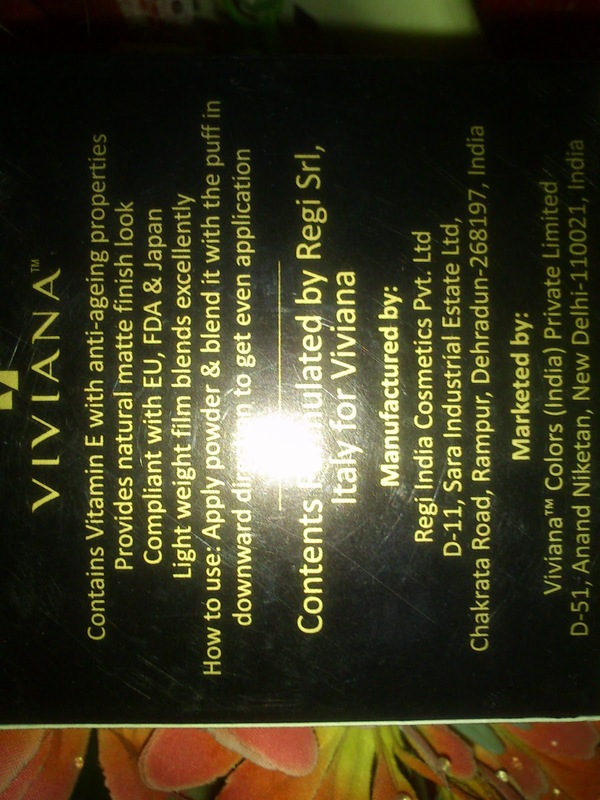 Viviana pressed powder coming in a Black pack. 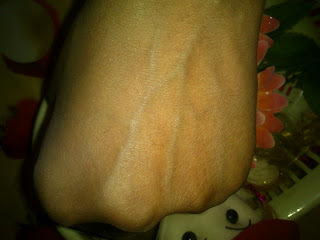 It is little heavy still i can carry with me. The Powder applicator is extra super one which blends the powder very well. The mirror in it also very helpful. This is an excellent Compact that stays for long time. This has Three super shades which is well suitable for all skin tones. It has a mirror and a very good powder applicator. My Final Verdict is Viviana pressed powder is a great product for all skin types and has three shades Snowflakle fro Fair skin, Tusk for Medium skin tone and Twilight for Dusky skin tone. Hi radha, I have not seen this brand in any shops at Chennai. Is this an Indian brand?